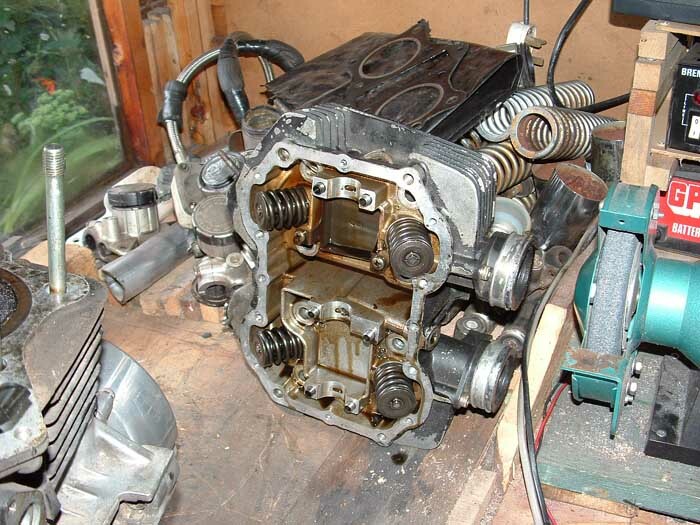 Z440 engine, 443cc to 468cc modifications. The engine mod’s were done around 1991 so this data is now over 10 Years Old. Blank Pistons purchased at UKpiston manufacturer by a friend of mine whilst he was sourcing 10.1 pistons for his Norton 500cc model 88, as Norton never produced 10.1 racing pistons. Cylinders bored out to 69,3mm. This gives a liner wall thickness of 2,4 mm and this is a bit low. To ensure no distortion and cracking occurs, an oil cooler was fitted to keep the engine and oil temperature down and increase oil capacity. Size of piston after machining, 62mm x 68,3mm. By my calculation this gives 468cc approx. The rings where acquired at the MM Show. The Head had 0.100mm taken off. Then all inlet and outlet tracts where polished. Valve seats re-cut and new valves and springs fitted. Crankshaft, rods, pistons balanced, and the balancer chain removed (the rest of the mechanism must be left in place as the oil-ways run through this) and the balancers bob weights was locked at their BDC with Loctite 326. I opted to use the standard carbs as they give good petrol consumption. The only thing done was to fit bigger jets. This was trial and error. 5. Other modifications done to my Z440 over the last 21 years. A: - Rear suspension standard shocks changed for a pair of Konis. 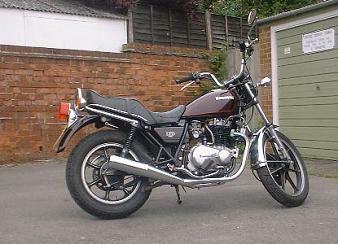 B: - Front forks standard, but I use 30 weight oil. C: - All internal and external engine fasteners are stainless steel cap screws. D: - front and rear sprockets are Ratmals Alloy. E: - Tapered head races. F: - O- Ring chain. G: - Front brakes: Braded brake hoses. To fit oil cooler you remove the oil line that runs from the crank case to the head. The first line goes from the crank case to the top cooler (The cooler must be fitted with the fittings at the top to retain oil when motor are not running and to ensure that as soon as you start the motor you get oil flow to the cam). 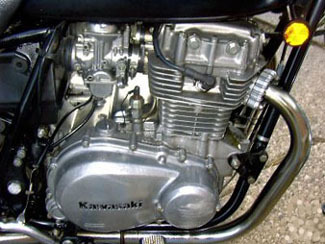 The second line goes from the cooler to the cylinder head. 1. Change the oil every 1000 miles (Oil, use a good semi synthetic 10/40s or 10/50s. A good 10/40s multigrade is also ok, but must be changed as frequent as the semi). Do not use 20/50s. 2. Clean the front brake calliper and re-grease sliders every 12 Months. 3. Change the front brake fluid every 2 years. Now use DOT 4. 4. Swinging arm pivot pin checked on a regular basis to ensure correct torque setting. The engine has covered around 9000 miles with no problems so far, and performs quite well, and takes off quicker than my friends Standard Z440B1. The motor runs ok though it is a little lumpy when cold but runs just like a Standard Z440 when Warm. The Handling is excellent and has never given me any hart stopping moments so far! I am contemplating to enlarge one of the motors to 500cc. I hope to use pistons and rings from a Z1000 big bore conversion, but will have to solve the problem of locating liners that will do the job. Some other things I have found are that some of the early and late engine parts can be crossed over. I have an early Z440 clutch cover fitted to my late Z400B Hill Climb Engine, by the use of an angle grinder to remove excess material. Odd was Asking if the early Z400s could be overboard. 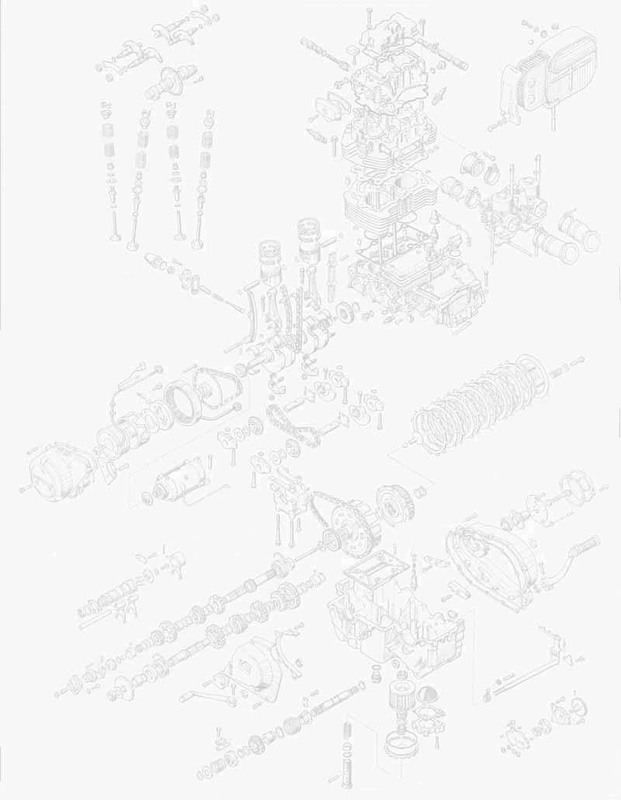 I have been looking at the barrels and I am sure you could fit Z440 liners and pistons with not to much work. This would give you that extra Zip.